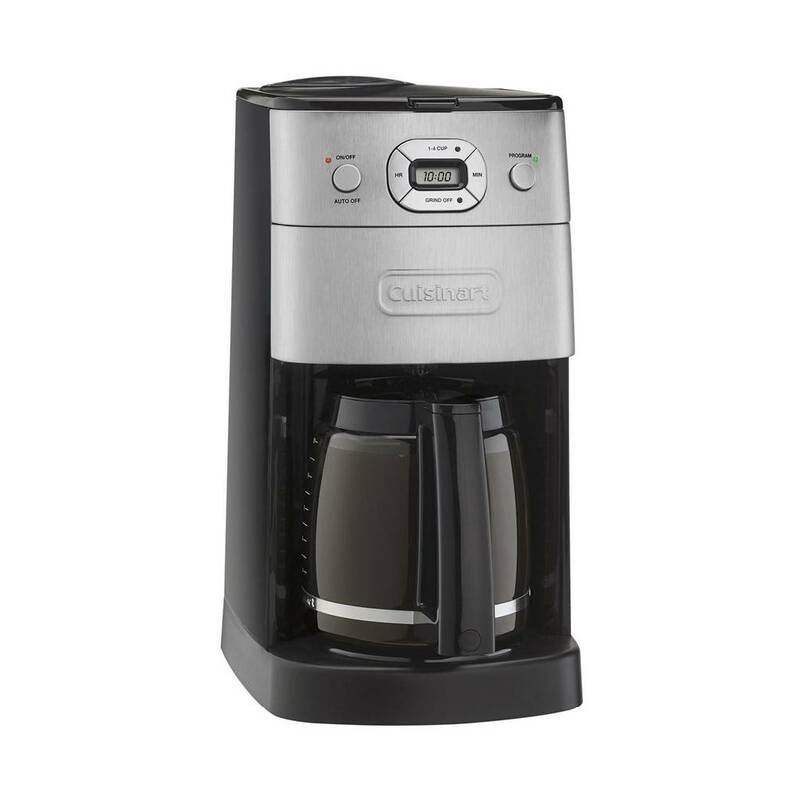 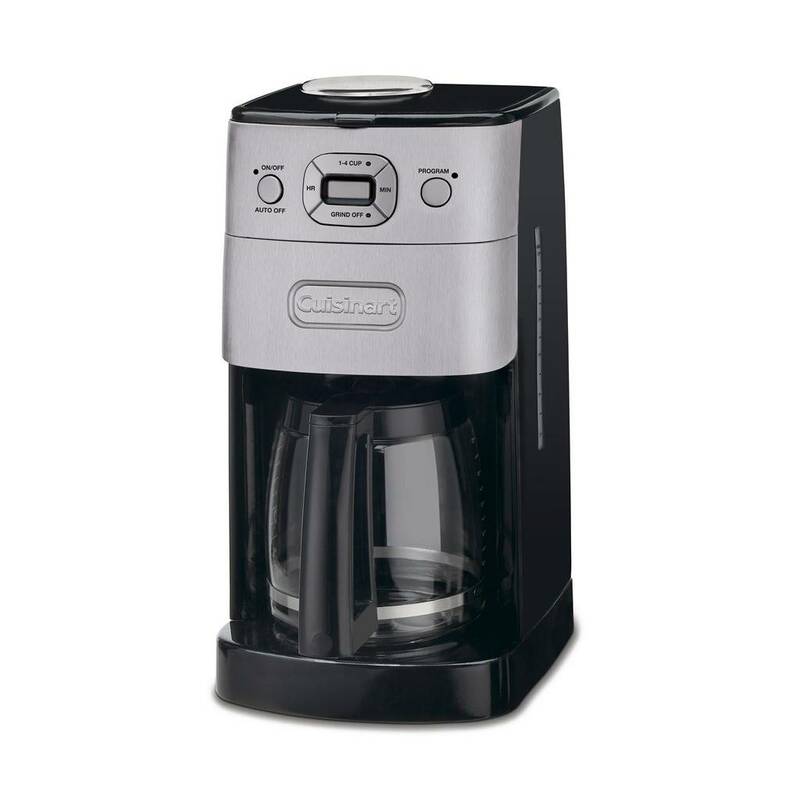 The easiest way to great coffee is with the Cuisinart DGB-625BC Grind and Brew 12-Cup Automatic Coffeemaker. 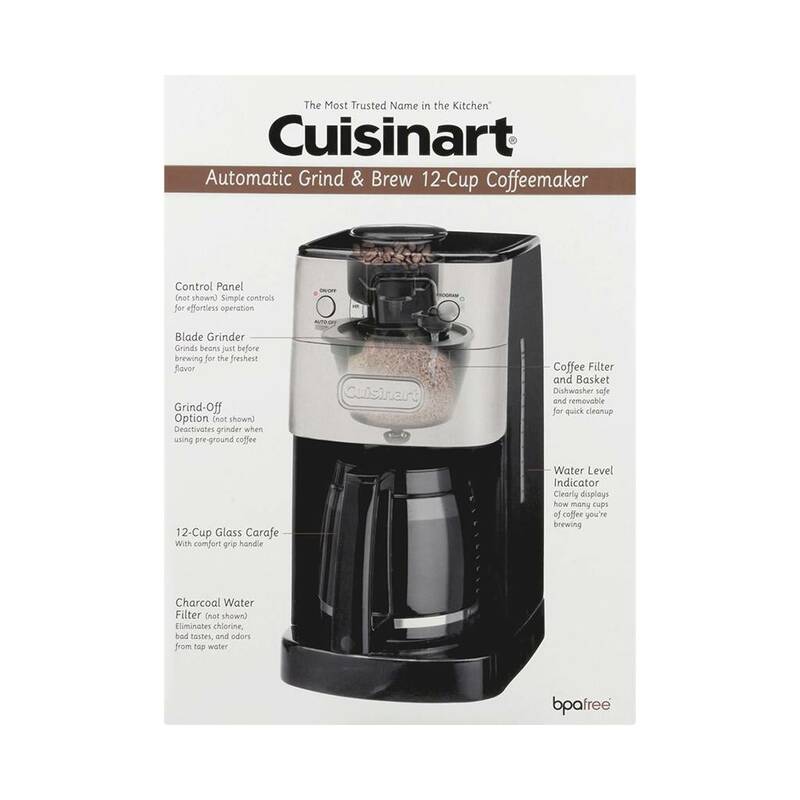 This 12-cup coffeemaker automatically grinds the beans right before brewing to deliver the freshest coffee flavor and the streamlined design with a brushed metal finish looks great in any kitchen. 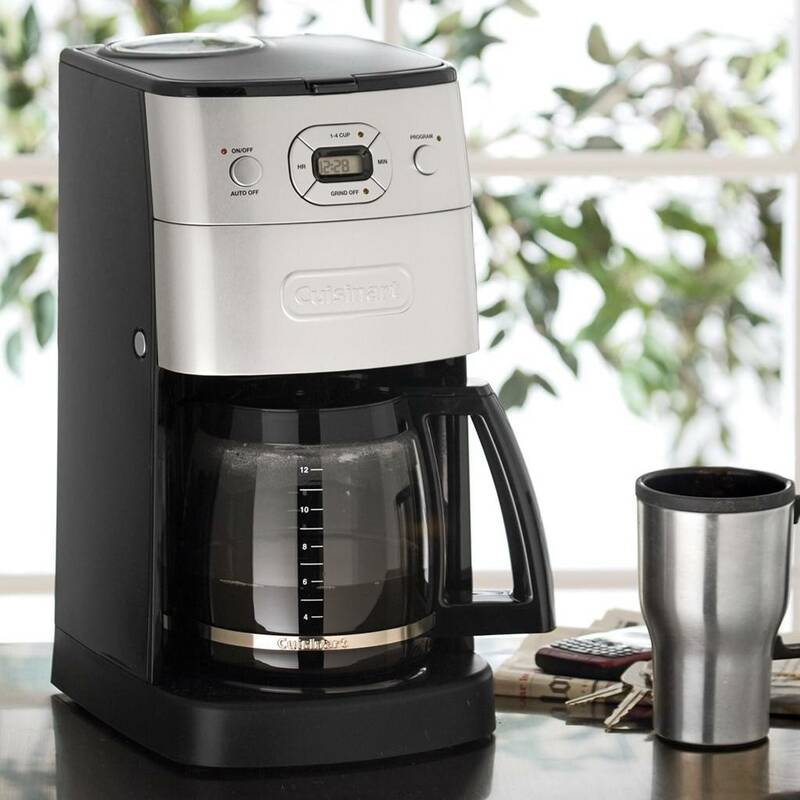 Fully programmable, with a large control panel, it’s easier than ever to enjoy a hot cup of coffee any time of day. 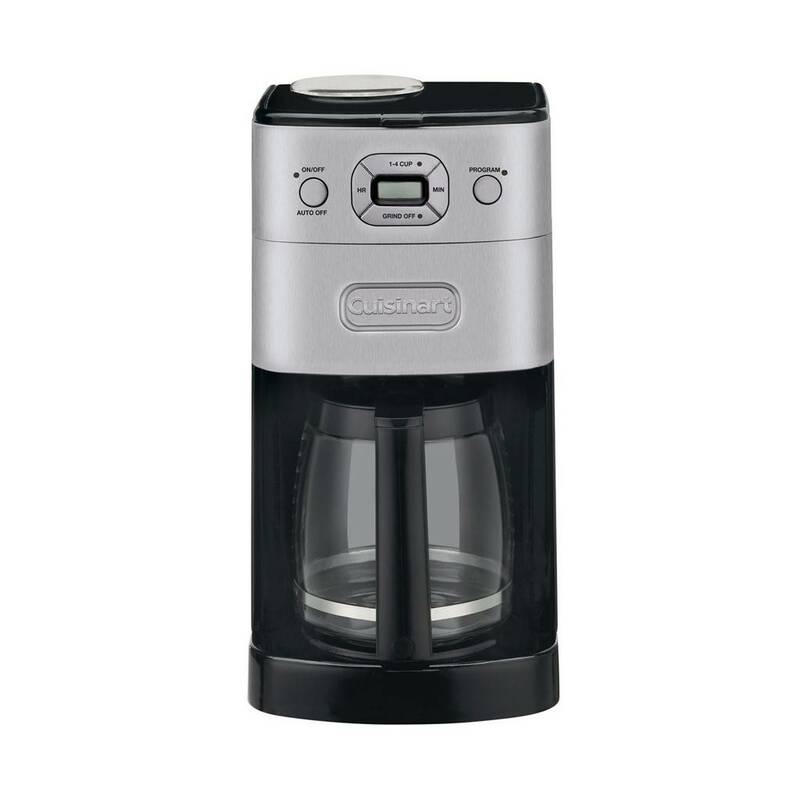 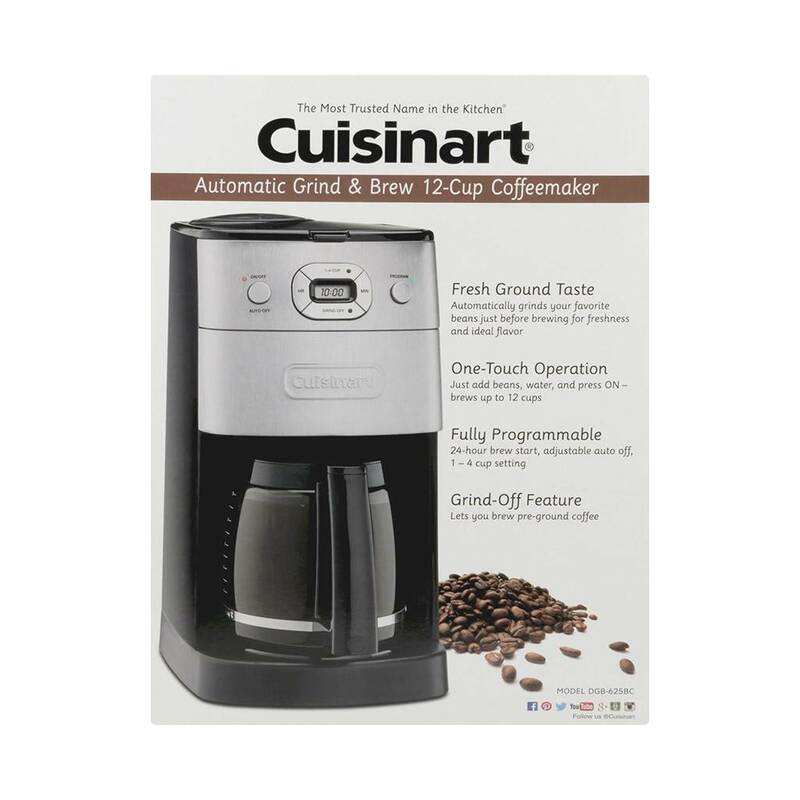 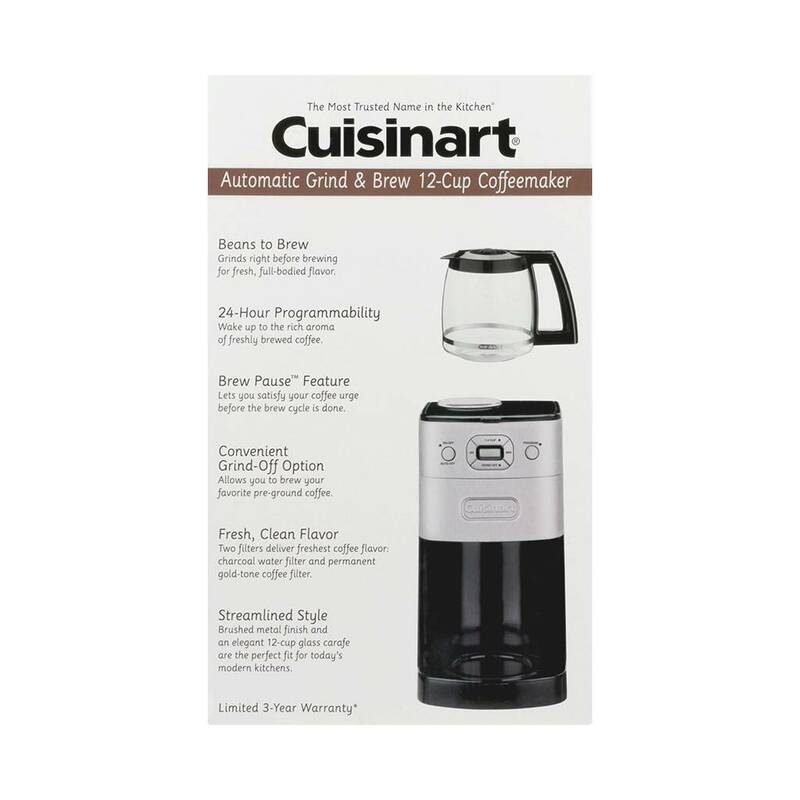 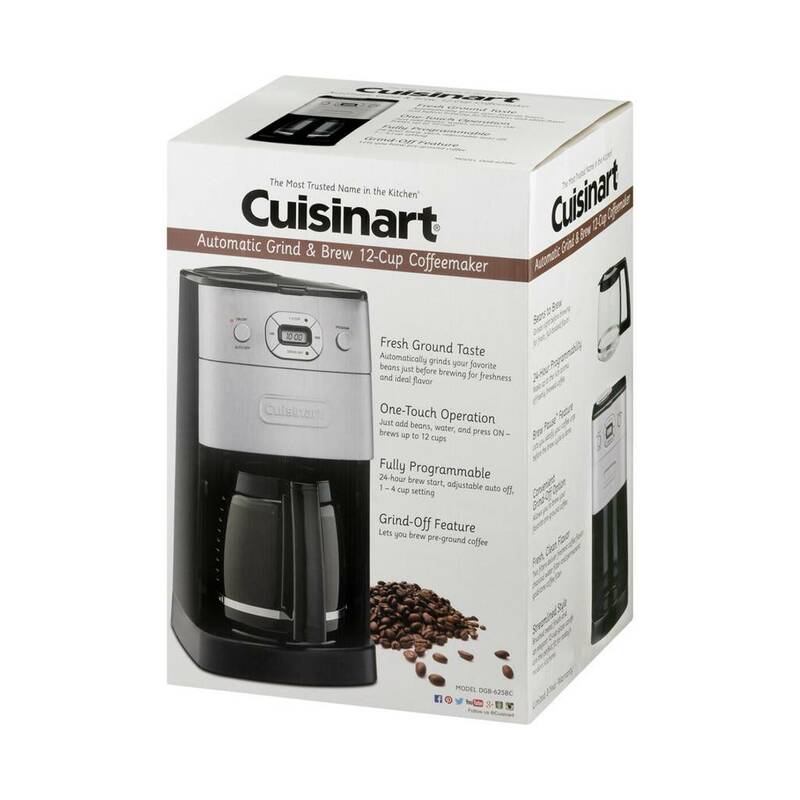 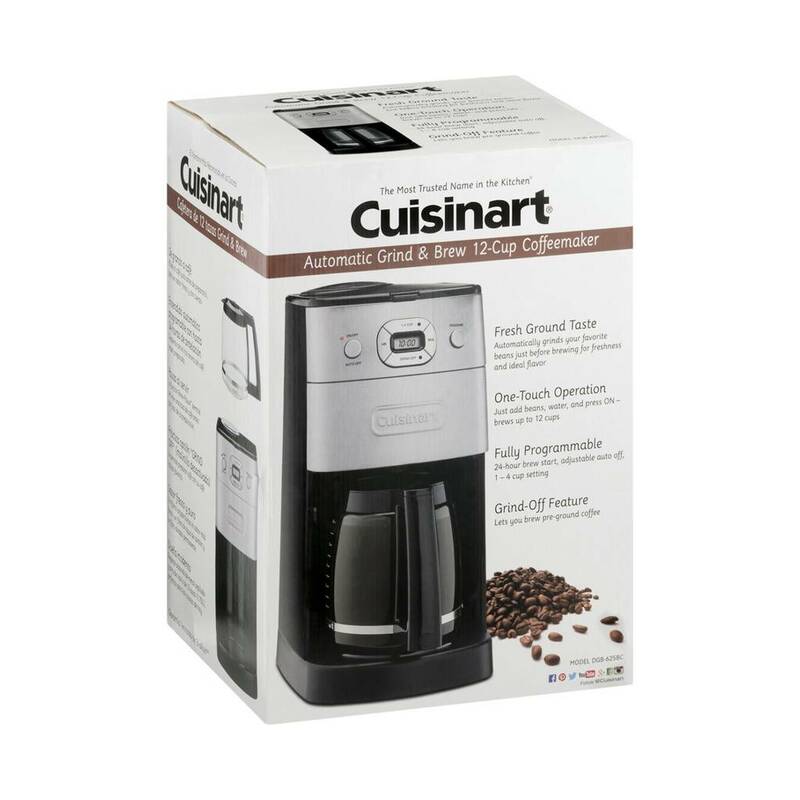 Simple, quick, delicious - great coffee is automatic with the Cuisinart Grind and Brew.